"the greatest master of all is passion "
Asleep in bed with his first true love, nineteen-year old Giacomo Casanova is visited by an old man who shows him his future - but is what he sees a promise or a warning? Based on his autobiography, this one-act play reveals the life of the famous libertine - a life more complex and varied than legend relates. In the young man's dream appear not only the women who shared his bed - or who refused to share it - but men who also played significant roles in his life: the Venetian Senator Bragadin, Casanova's jailer in the infamous Leads, the English noble who saved his life and the Polish aristocrat whom he almost killed. Following Now We Are Pope and Tadzio Speaks . . 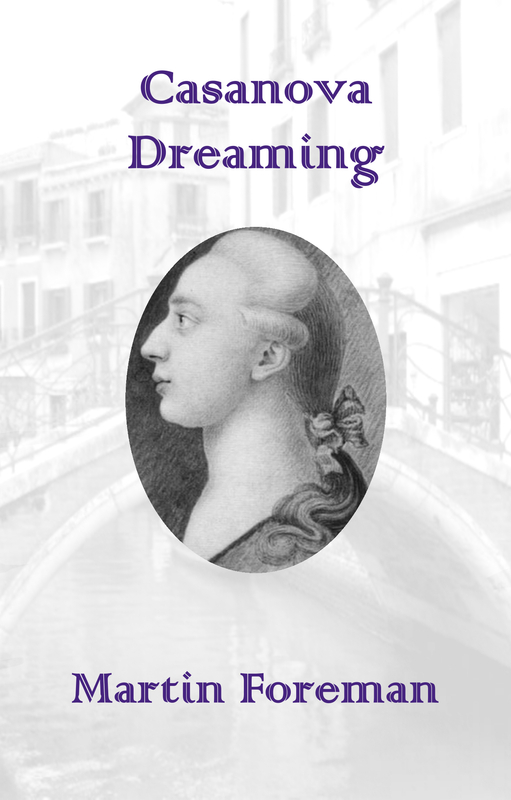 ., Casanova Dreaming continues Martin Foreman's exploration of themes of love, loss and death that focus on the city of Venice. The play debuted at the 2018 Edinburgh Fringe. For further information on that production, see Arbery Productions. "thoroughly entertaining" enjoyable and thought-provoking"